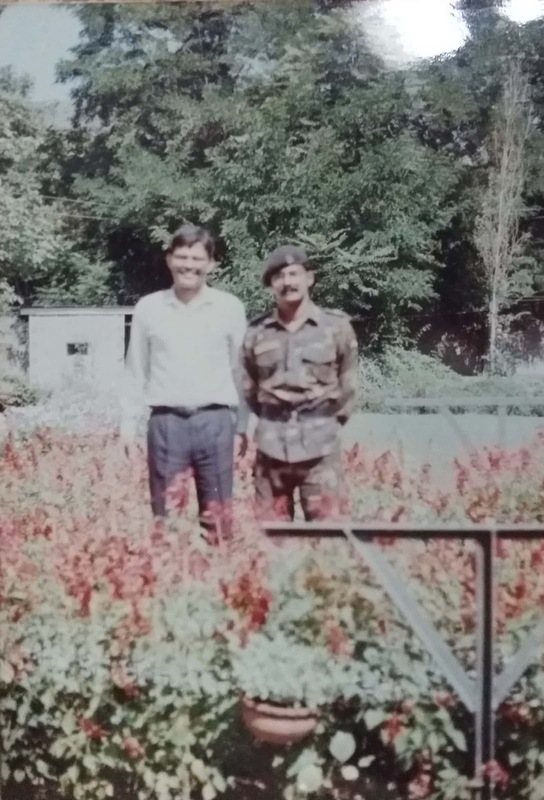 Immediately after my Defence Service’s Staff College course, I was posted in Baramulla Divison as DAQMG. We had a very fine set of officers at grade 1 and 2 level and we gelled perfectly. 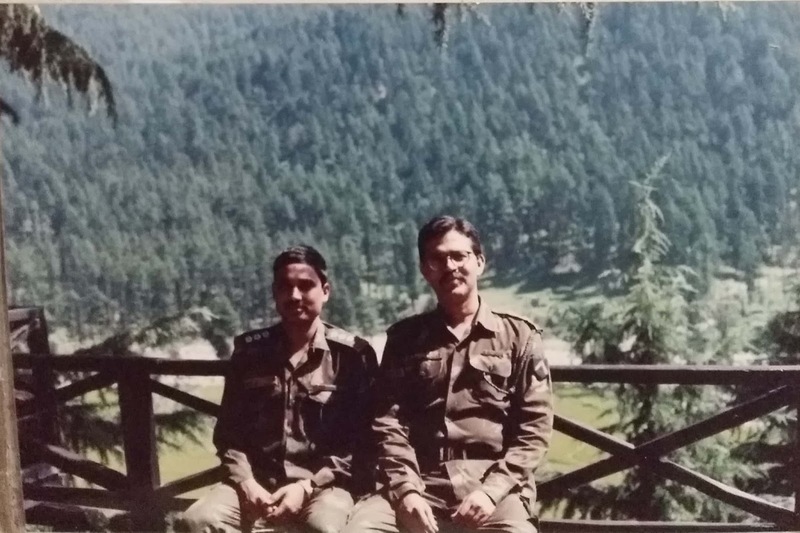 Our GSO1 (Int) was Lt Col JDS Rawat who later went on to become the first 3 star officer from Intelligence Corps. I had shared lot of cigarettes, not to mention Buddha Baba(Old Monk) with him. The GSO-1 (Ops) was a Sword of Honour winner from Sappers. I served again with Maj Gen Shah in HQ Northern Command in 2017 when he was MG-ic-Adm.
Our AQMG was an outstanding professional from EME. My Staff Captain (Q) was ACA from NDA and belonged to Sikh regiment. Once we complained to our AQMG that why does he did not leave any job for us as he used to do everything himself. He smiled and said “why to bother you when I can handle all this”. 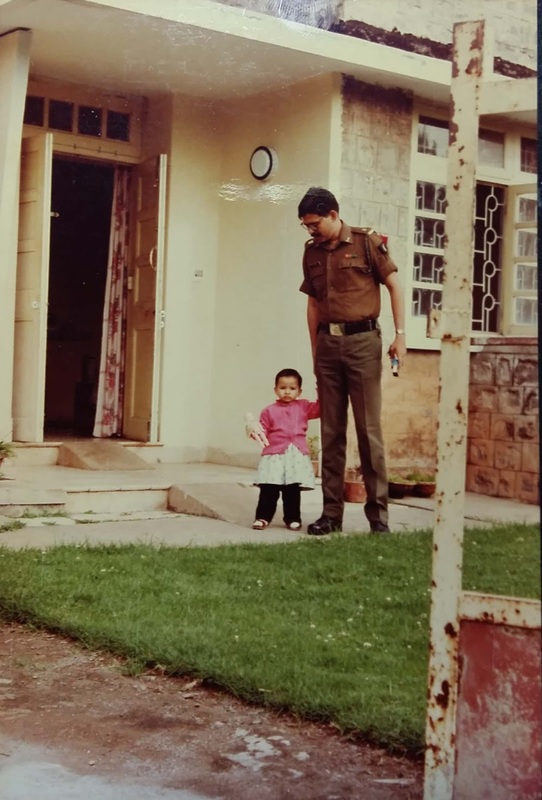 And boy, Lt Col Umesh could handle anything. I had a false sense of pride that I was one hell of a rum drinker. In the first get together of Q branch that we had, Col Umesh let us know who is the boss. The other common thread in the Q branch was all three of us were 6 ft and above. We were very professional and happy team. The best place to have a drink was the jetty in front of Officers’ Mess. It was a divine feeling in moon lit evenings in the jetty where Jhelum flows under you. You can see the glad PK. Major Venkatash popular known as Venky, was our RVC rep in Divisional HQs. He was our Man Friday and was loaded with all the stupid board of officers and court of inquires that Q branch had to undertake. We did not used to pass these to the lower formations. This man without any crib did all these back breaking jobs with a smiling face. We all admired him. No wonder today he is a two star officer posted at RVC directorate in Army HQ. 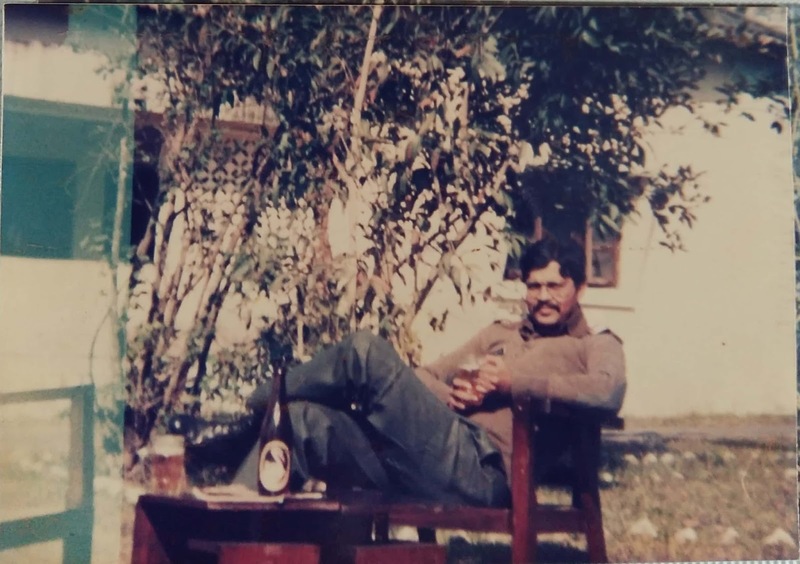 Capt KP Singh from Madras Regiment was staff captain Q in the then HQ 16 Sector in Nagaum. He was fiercely loyal to his paltans and extracted everything possible from us by his professional work, requests and sometimes cajoling so that his troops didn’t suffer. In 2013, he was commanding the Siachen Brigade. I have lost track of him after that. Our DADH was Lt Col PK Som. Som Dada was lean and thin and was oldest serving officer in the Div sector. Obviously he had no maibap. 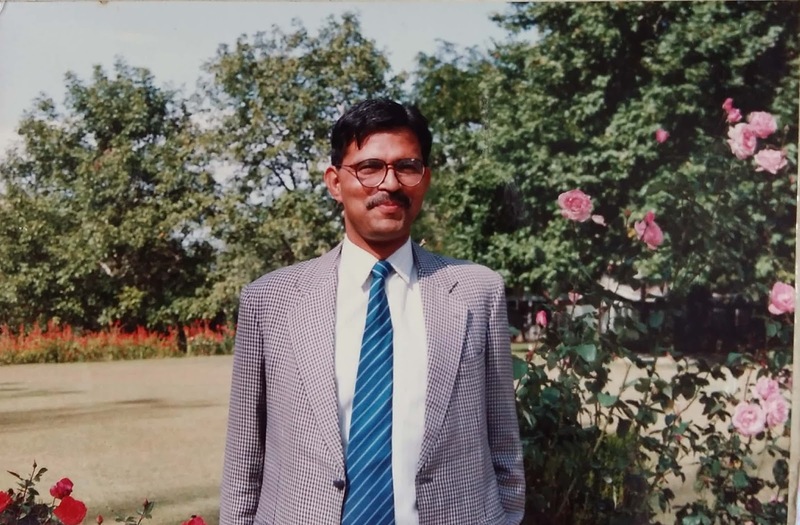 He used to tell us stories about how the GOC was shot and the Col GS designate was killed in the middle of old Baramulla town and how difficult it was to extricate the GOC and how he was ultimately evacuated at night to Srinagar. On popular demand he was our permanent Mess Secretary. Somehow by cajoling, requesting, brow beating the supply depot and the CO of ASC battalion and Military Firm he kept us very well fed. He had his own way of getting excellent cooks from somewhere to give us those delicious Kashmiri meat preparations on Sundays. When the medical officer at MI room went on leave he used to officiate in his place also. Our GOC was a very frugal eater, through out the day he used to have couple of cups of soup/kahwah and one odd apple or some other fruit. He never went back from office during lunch. We were at liberty to go and come back to office as per our convenience. But the GOC from 8 GR would always have his quota of two thullow rakshi in the evening. No wonder all Q branch officers, JDS Rawat, Som dada and others were avid fan of Buddha Baba. A Swedish firm was constructing the Uri Hydro electrical Power project. They had huge Volvo vehicles and earthmoving equipments. One day one of the 3 ton vehicles carrying troops of an Artillery unit met with an accident with a big Volvo vehicle at Rampur. There were a lot of casualties. As the casualties started coming to MI room, Som Dada was already there as the medical officer was on leave. The two nursing assistants were busy assisting him. The two telephones were being manned by GSO1 (OPS) and AQMG. They were tying up details of QRT and administrative details. The Base Hospital (BH) at Srinagar was forewarned about what to expect. It was a ghastly sight in MI room. There were grey brain material on the floor, broken limbs and blood were everywhere. It was twilight hour, Som Dada suddenly shouted an expletive and said without looking behind “move away from the window, you are obstructing light”. I saw a shadow silently move away. It was Rostum Nanavatty, the GOC. After a quick bit of first aid activities and packing up, the casualties were sent on fast track to BH Srinagar. The BH Srinagar had a fearsome reputation that anybody who reaches there alive would never die. In the most trying circumstances the BH always lived up to its reputation. The Surgeons themselves donated blood number of times when there was no time. It was a textbook demonstration of professionalism of the highest order. The job had to be done and was done with professional elan. Later on there was no hankering after awards or citations. A job had to be done and that’s it. 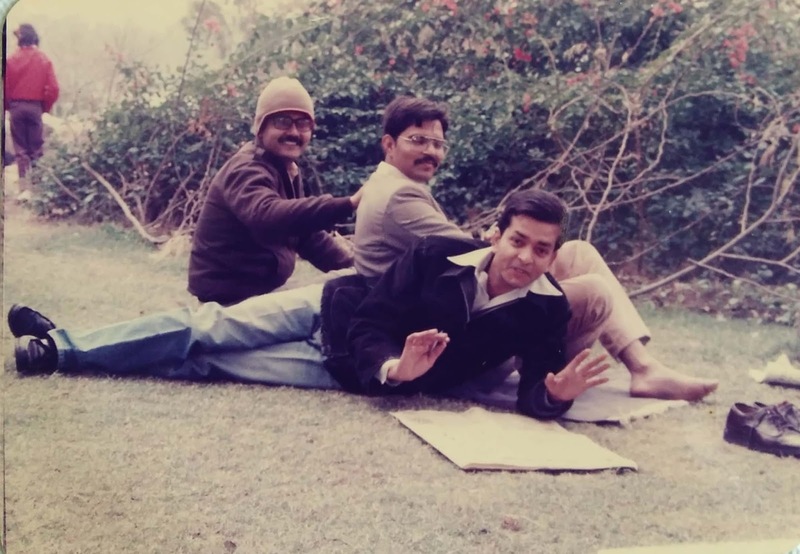 I was posted at Katihar known as Kala Pani of Bihar in 1983. One of my Jawans with his wife met with a scooter accident at Katihar town. The lady had severe stomach injury. I do not wish to describe the inside of Katihar district hospital. Suffice is to say, the attending doctor did not even know how to insert drip. My nursing assistant did that job. The attending doctors said that the journey of 230 kms to BH Bengdubi cannot be withstood by the patient. She had internal hemorrhage. Seeing the condition of the hospital, I took a command decision. I sent her in our 1 ton ambulance with our nursing assistant and oxygen cylinder directly to BH Bengdubi. I spoke to the hospital authority about the casualty. Immediately on arrival she was wheeled into the OT. There was internal injury. During the operation the Anesthetist shouted “I can’t keep the patient!”. The surgeon kept the gauges inside and stopped the operation. After transfusing lot of blood, when the patient’s condition stabilized a bit after two days she was operated upon again. The lady survived. 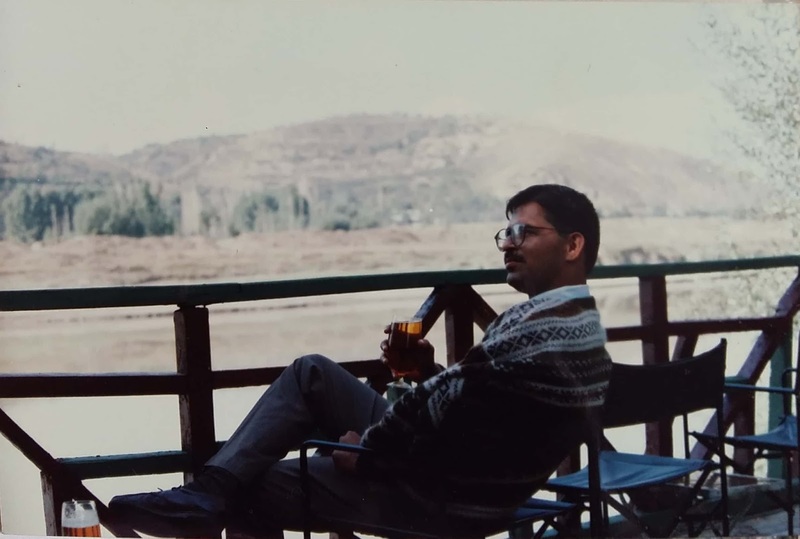 I was posted at Binnaguri in 1990. There was no video/tv coverage, STD telephone. Electricity was only for a few hours that too about 150 volt. Akashvani Kurseong was very faint. There was no entertainment. Once we woke up in the morning as some sound was coming from our kitchen garden when we peeped from the first floor balcony we saw couple of elephants munching away the banana plants to glory. They were so happy. The Adm Commandant was a Signals officer. He was the proud owner of a well fed, well groomed German Shephard dog. In the evening he was as usual walking the dog. The dog was not chained and following him. Suddenly he realized the dog was not there. The leopards are very fond of dog. The good Colonel could not even realize that his dog was taken away. After all the Adm Commandant was not amused. He contacted the forest department people and a trap in cage was laid. The bait was a live goat provided by our supply depot. The leopard came but the goat died of heart attack. It was below the dignity of the leopard to eat dead animal. He did not enter the cage. The next day a strong live goat was procured from the local market. The trap was set. The leopard came at night and the shutters went down. In the morning it was a scene. The leopard was angry, trying to get out of the cage it had injured itself. He was bleeding, snarling. The whole of Binnaguri including all the tea garden workers lined up to see how the caged animal was being taken out. One felt sorry for the magnificent animal. Leopard can get used to changed environment very fast and are survivors. I suppose even today if you travel at night by road in the route Chalsa - Odlabari - Mong Pong - Coronation Bridge, you can have a sight of this beautiful animal. The MH had medical, surgical and gynecologist specialist. When the surgical specialist would go on leave the gynecologist used to officiate and vice versa. One of my Jawan’s wife was admitted in MH. She had been complaining of stomach pain for a long time. There was a circus show at Banarhat nearby. The gynecologist was officiating as surgical specialist who was taking out his car for going to the circus show with his wife and children in the evening. There was a persistent ring in his telephone. Very reluctantly he went inside the house picked up the phone. The nursing officer on duty wanted him to come to the hospital immediately. The doctor was slightly irritated and said I will come directly to the MH after the show but the nursing officer was adamant and firm and insisted that he must come immediately. The doctor sent his disappointed wife and children inside his home and went to MH. He carried out an operation immediately. When I went to the MH he showed me the rotten putrid stinking part of the intestine that was taken out. The lady survived although she had to take bland diet throughout her life. Lt Col Rana told me that because of this nursing officer the lady is alive today. The doctors and the nursing staff carry out some impossible tasks at extreme odds in far flunk frontiers of the country to keep our armed forces and their families safe and fit. No amount of praise is sufficient enough for them. I salute the men and women of Army Medical Corps and Military Nursing Service.